How can Canada immigration benefit you? Canada is one of the ideal countries in the world of immigration and settlement.To get a complete overview of the Canadian immigration process and types of Visa stages, this information will surely be helpful. The high immigration flow in Canada is mainly due to immigrants of every class, category, and occupation.This huge immigration influx can be divided into a Skilled worker, businessmen and investors and international students are the below three categories which contribute to the lion share of immigrants to Canada. Canada offers ample of employment opportunities to the foreign skilled workers, in the wake of skill shortage in the country.the jobs which are high in demand in Canada are Engineering, I.T health-care, service sector, etc. Along with it invites the overseas skilled workers through FSW stream of Express Entry and via other PNP programs of various provinces. Canada is a home to prestigious and famous universities that offer quality education and a vast number of academic and vocational courses.The Canadian government has announced ease of immigration rules for international students to help them get PR and citizenship in Canada.The overseas students are a potential workforce to fill skill gaps across various industries. The Immigration, Refugees and Citizenship Canada(IRCC) has launched multiple immigrant friendly programs to bring quality immigrants to the country which are, express entry, QSWp and various PNP’s.All these have different criteria and requirements. Language proficiency: This is tested through registered testing and certification agencies, i.e., IELTS for English.The required language score is CLB 7 for your first official language in 4 different language areas. Health and Character requirements: good health, a decent character with necessary medical and police certifications are required. The processing time depends on the type of visa category you choose. Immigration Program: It is based on the type of Visa program you want, Express entry QSWP or any other like PNP. Visa Application: The processing time of Visa application depends on whether the details are filled correctly. Documents/information: The document verification is a part of key requirements which are IELTS, WES certification.The health and character certificate are also required for the same. 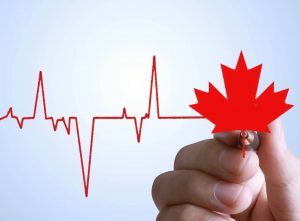 LMIA Approval: Labour market Impact Assessment are an approval in case Canadian jobs offered based on Visas, may also impact process timing.LMIA approval certificate confirms no local candidate available for the job being offered to the overseas candidate. Canadian immigration is a hassle free process. However, an expert guidance and support are advisable to understand the points based immigration system of Canada. Why Many Opt For Canada Immigration?